Reactive risk management has a poor reputation amongst many aviation safety professionals. A common misconceptions is that SMS programs should be moving from reactive risk management towards more “advanced” forms of management. It’s extremely important that all employees understand that reactive risk management is extremely valuable to all aviation SMS programs. Can be a fantastic risk control with the right preparation (i.e. training). Reactive techniques should be actively cultivated and evaluated in every program. Different situations will require different actions on the part of employees and management. In non-risk situations, such as everyday operations, proactive risk management should be the primary mode of operation. In newer SMS programs without the requisite experience/data for proactive management activities. Again, reactive techniques can be good or bad. Poor decision making preparedness results in the kind of reactive risk management that is stereotyped as bad. But quality response techniques and decision making ability are a considerable asset to every organization. They demonstrate the kind of reactive risk management that is desirable for any aviation safety program. Aviation safety programs that don’t have quality reactive strategies expose themselves to considerable risk. Even mature safety programs that exhibit high quality proactive strategies but have not developed quality reactive strategies will be plagued by an inability to mitigate safety events once they occur. In such a program, risks that do occur will constantly result in undesirable events and avoidable consequences. Creating a performing safety program – which is adaptable and resilient. 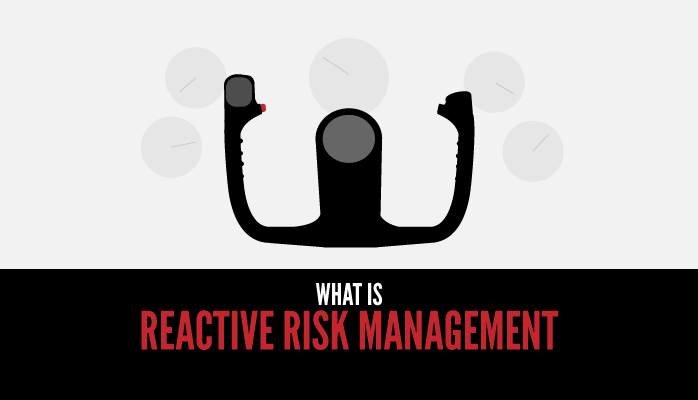 Who Practices Responsive Risk Management? Safety management will need to monitor and improve responsiveness abilities. Just Culture and transparency regarding discussing past safety issues and how decisions impacted those issues. One of the primary reasons we see safety programs get into trouble is because they don’t actively discuss decision making in their program, and/or don’t spend the resources on reactive training in favor of spending resources on proactive training. In order to improve the decision making ability and responsiveness of employees, an organizations needs to understand that reactive and proactive are equally valuable. A waste of time and money to train and discuss. The above points are just some of the stereotypes to hold aviation safety programs back from best-in-class safety performance.